Red Star Poker is hosting their very own rake chase for poker players on their site. Up to $60,000 will be given away over these two months. They have 21 tiers of rake to determine who wins over 5,000 prizes. This is a great opportunity to increase the amount of money you can earn while playing at the poker room. Any Red Star Poker rake chase winnings are not deducted from your rakeback and is purely just extra cash for you. This is a perfect offer for any serious player when it is combined with the other promotions we are running. 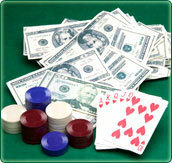 Red Star Poker handles all the payments and you can cash out your prize at any level you want. The lowest tier of the rake chase winnings only requires $10 in rake to win. This allows some of the lowest stakes players to get a piece of the action and boost their bankroll. You could easier rake into the middle and upper tiers by playing 2-4 tables a day x 5 days a week. So don’t miss out just because you play smaller stakes and normally wouldn’t have a chance at some of the other poker rooms. Don’t forget that even when you are winning prizes in the rake chases, you will also be earning 36% Red Star Poker rakeback and a $1500 deposit bonus. As long as you sign up at RedStarPokerRakeback.com you will also be entered into our very own Red Star Poker rake races for your chance to earn even more money for the rake you pay. Editor’s Note: Red Star Poker is always changing the amount for their rake chases. The information on this webpage may not be updated to the current month’s prizes. I always recommend checking out our promotions page or Red Star Poker’s promo page for the most up to date information as well as the leaderboard at the time. Just be sure to revisit this website and use the proper Red Star Poker rakeback sign up form.